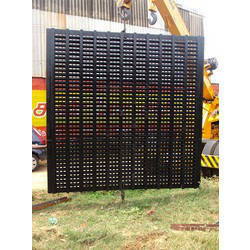 Grid is made of Special Material Hardox 400 (wear resistant ) Plate. We manufactured & supplied for various Foundries, capacity from 3000 Kgs to 30000 Kgs Shakeout machine. This type of grid specially used in IMF line. 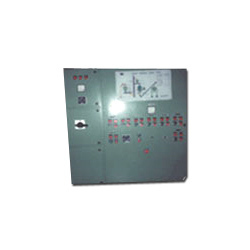 Our clients can avail from us a sugar grinding panel of highest quality standard. Manufactured using superior components procured from reliable market vendors, it reflect highest quality standards. We follow stringent quality process for the fabrication to maintain functionality and design of the plant. Our reputation in the market is largely attributable to our precision-designed Base Grid Tray that is extensively used in Boxes, Car Bottom, Pit And Tip-Up. Hold down grid for random packing is used because vapor load has potential for moving the top packing media. When top packing layers have potential of upward displacement in the structured packing, Hold Down Grid/ Bed Limiter is recommended. Where the upward displacement of structured packing is not a concern, the distributor over the packed bed can also be used as bed limiter. We manufacture Diffuser base grids required for Pit type furnaces of all types in casting and fabrication. High Quality Surface Finish Base Grid for Continuous Furnace.